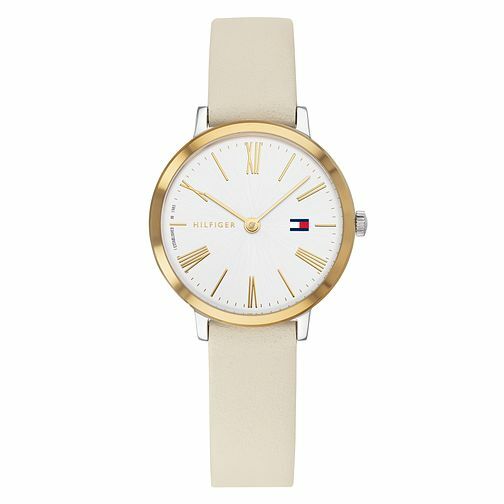 A stylish ladies' timepiece by Tommy Hilfiger, this watch boasts a trendy two-tone case for a contemporary touch on the classic. The sleek silver dial features gold tone roman numeral and linear markers, two hands powered by quartz movement, and the Hilfiger name, co-ordinating with the polished bezel. A chic cream leather strap completes the two-tone style with a silver tone buckle.